Northern Illinois University of DeKalb, Illinois took home first place in the Internal Combustion Engine Prototype category with their gasoline-fueled vehicle achieving 1,524 miles per gallon. This was the college's first time winning the Shell Eco-marathon Americas Mileage Challenge competition. "This award means everything to our team," said Josh Helsper, team leader of Northern Illinois University. "It validates all the engineering we've learned and the work we've done." "These students have dedicated countless hours to developing solutions that support a cleaner, lower-carbon energy future," said Shanna Simmons, Global Technical Director Shell Eco-marathon. "The mileage challenge is a platform for students to test their theories on energy efficiency and receive hands-on experience before entering the workforce." 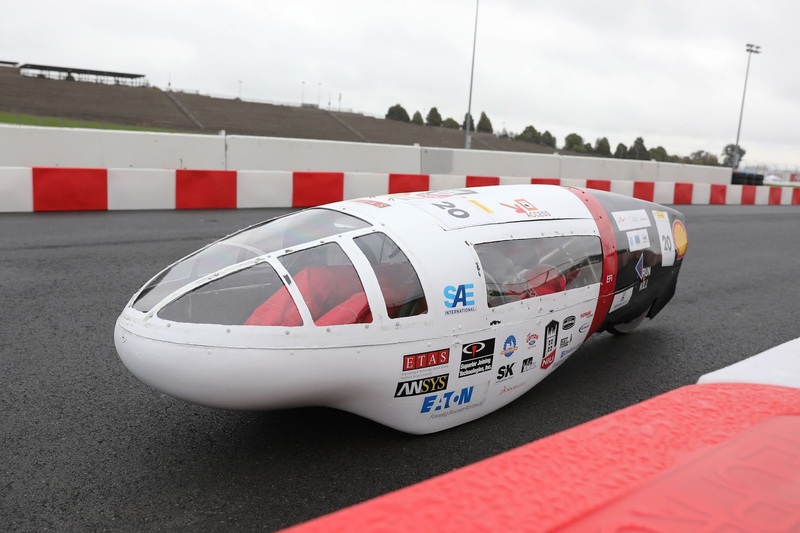 Student teams worked intensively from Wednesday to Saturday to pass detailed technical and safety inspections before heading to the iconic Sonoma Raceway track for the Mileage Challenge. Each team's vehicle was required to make eight laps for a total distance of 6.12 miles within 24 minutes. The winning schools have earned themselves a place in the Drivers' World Championship to be held at the Make the Future Live event in London, UK, from July 1-5, 2019. They will face-off against teams from Asia and Europe for the chance to be crowned world champions and earn a once-in-a-lifetime experience at the home of Scuderia Ferrari in Italy. This is a global competition to match the proven energy efficiency of their cars, with the speed, skill and strategy of the driver to see who can cross the finish line first without running out of their limited allocation of energy. Shell's Make the Future Live Partners, many of whom actively used the event as a recruitment ground, included: Agility, Altair, Dassault Systèmes, HP, Linde, Sonoma Raceway, Southwest Research Institute and Toyota. Make the Future Live is one of Shell's global platforms that offers conversation, collaboration and innovation around the world's energy challenges. With events hosted in countries around the globe, they aim to provide an opportunity for multiple stakeholders: including students, entrepreneurs, businesses, governments and the public, to experience, test and contribute bright energy ideas. Currently held in Asia, the Americas and Europe and made up of two key competitions: Mileage Challenge, and Drivers' World Championship, students from countries across their respective regions use innovative problem-solving skills to design and build their own cars. Looking at every aspect of design and technology, students then compete to prove that their bright ideas will produce the most energy-efficient vehicle when tested on the track. The concept of Shell Eco-marathon began in 1939 at a Shell research laboratory in the United States as a friendly wager between scientists to see who could get the most miles per gallon from their vehicle. In 1985 in France, Shell Eco-marathon as we know it today was born. 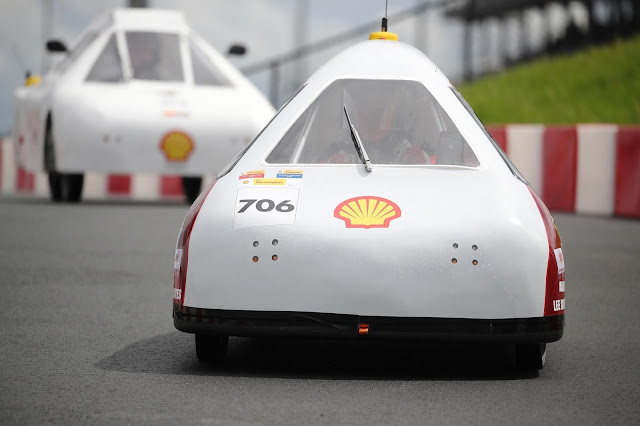 In April 2007, the Shell Eco-marathon Americas event was launched in the United States, and in 2010, the inaugural Shell Eco-marathon Asia was held in Malaysia, up until 2013. In 2019 Regional Shell Eco-marathon Mileage competitions will be held in Kuala Lumpur, California and London. London will also host the Drivers' World Championship, with qualifying events held in California and Kuala Lumpur..